Over the past two years, more than a million refugees from Syria have fled from their homes and across the Lebanese border to escape the civil war. It is now estimated that one in four children in Lebanon is a Syrian refugee, and many of them have suffered emotional and physical trauma. Often these displaced people have ended up in makeshift camps, with very limited access to shelter, food, water, shoes, and clothing. In November of 2014, we had the privilege of opening a new center, The Oasis, specifically for Syrian refugee children. The new students need intensive academic help, since many have been out of school due to the war and most cannot speak English. Kids Alive is helping Syrian refugees in two ways. At The Oasis, we are providing an education, food, and daily care to 80 children in our school and care center programs. We have also been working with our other partners in Lebanon to provide support to refugee families that urgently need help. Students at The Oasis have recently had the opportunity to work with the Foundation for Forgiveness and Reconciliation, which has taught them that not only is forgiveness a sign of strength, but also that retaliation and revenge only continue cycles of violence. Given education, support, and encouragement, this generation can help put an end to a culture of violence and regret. 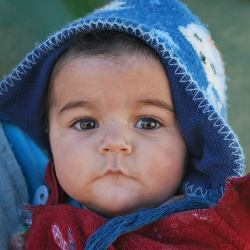 Your generous support helps to provide for the urgent needs of refugee children and give them new hope for the future. We at The Oasis are witnessing the life and promise it brings to this generation of kids who cannot receive an education elsewhere.